Previous: Previous post: ALS: Airway, Breathing, Capnography??? Makes some sense. There are a couple of unanswered questions at least ones I don’t know the answer to. What is the cost per life saved? Cost per PE stopped. Though it is very sad when patients have an adverse outcome from something we do, LMWH is only going to reduce risk not negate it. There are also the issues o compliance and logistics of injecting it. So sounds good but not yet completely convinced. Hi Andy. I’m sure thegreathornero can give us a more eloquent answer, but I’ll give it a go. Cost are difficult to judge to be honest and as far as I am aware there is no data. However, what costs are there to consider here? It’s not just about pe, but also about treatment costs and morbidity from dvt itself. The costs of 3/12 warfarin must be fairly substantial in themselves, plus the longer term costs of associated dvt morbidity. I think it’s fair to say that this is a discussion that needs to take place with the patient in a way that expresses the risks and benefits as we understand them. Clearly there will be patients where thromboprophylaxis might be a really bad idea! A for compliance then you have a point. In Virchester I find that a majority of patients are prepared to give self injection a go. Perhaps that is our local population, but I have been surprised at what they say they will do (but are they actually doing it?). N of 1 questions are always a bit rubbish, but if it were you Andy? You’ve tripped on th hockey pitch and gone over your ankle whilst playing Virchester Masters. You’ve turfed up at St.Emlyn’s and we have advised that you go into a pop for a lateral malleolus fracture. It’s pretty uncomplicated weber b and undisplaced. LMWH or not? I would, but would you? the weber b. persaude you to get me an aircast boot so could take it out regularly to keep the blood flowing. Also have no risk factors so doubt I would be offered treatment. But good points Simon. Solution to your quandary chaps. 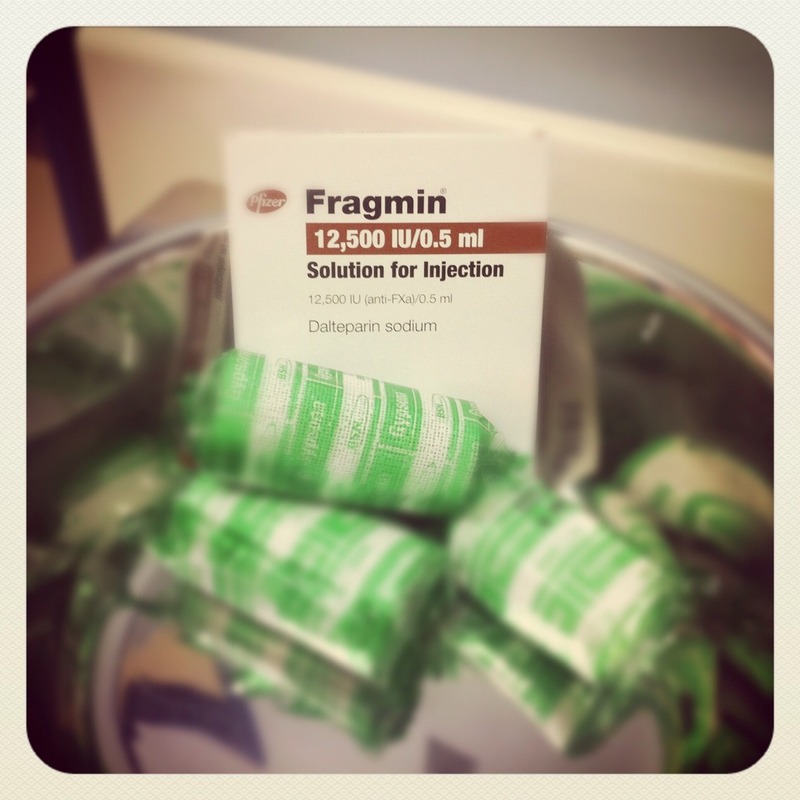 Advise the patient to source online their own supply of dabigatran. Cost to system gone, compliance great – no needles and – “i paid for it so I might as well eat it”, no monitoring. Now – just hope they don’t trip on the way out and bump their noggin!